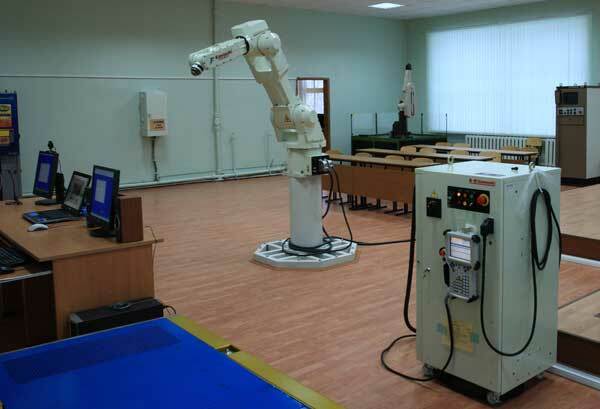 The Internet Laboratory "ROBOTICS" has been created on the basis of the unique Hybrid Simulating Testbed (HST) designed by the Dmitrov Branch of the Bauman University for trying out space robot control procedures. The Laboratory allows comprehensive laboratory training on real sophisticated robotic equipment by means of network access technologies. HST is complex hybrid (i.e. with hardware-in-the-loop) simulation facility. HST comprises several PCs connected via network, industrial robots, man-machine interface tools, multimedia systems with image transmission via Internet. The site contains information on the testbed structure: photographs, characteristics and operation schemes of the testbed components. Here you will be able to choose reference frames for control, motion control commands, user interface for HST remote control. Remote users can create their individual scenarios in the form of a sequence of motion control commands. HST allows to realize the study of kinematics, dynamics and control processes of various manipulators. As applied to space robot manipulators, HST allows their features researching in the absence of Earth's gravity. The Internet Laboratory can therefore be used as a tool for training operators for space robot manipulator control.